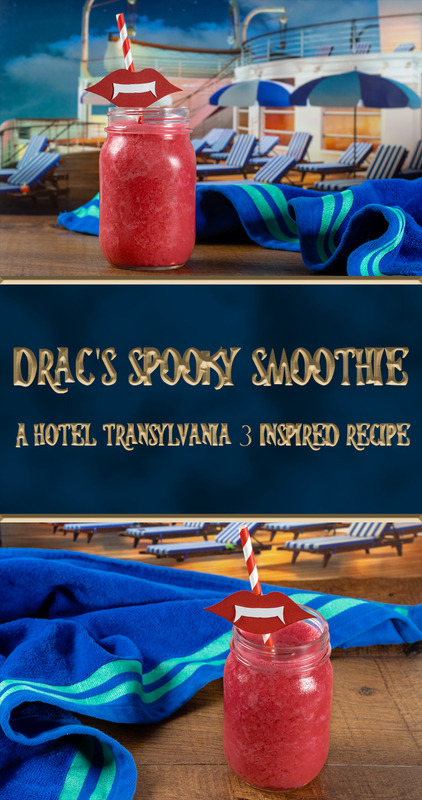 Our recipe for Drac’s Spooky Smoothie is a Paid Promotion for Sony Pictures’ Hotel Transylvania 3. We’re definitely on a roll this week with our family friendly Halloween recipes. Up next, we have a fun recipe inspired by Hotel Transylvania 3! We’ve created Drac’s Spooky Smoothie, a smoothie that’s perfect for a terrifyingly tropical Halloween. The inspiration for Drac’s Spooky Smoothie actually came from one of the bonus features! We loved the idea of the Drac inspired straw and wanted to come up with a cruise inspired beverage to use it in. 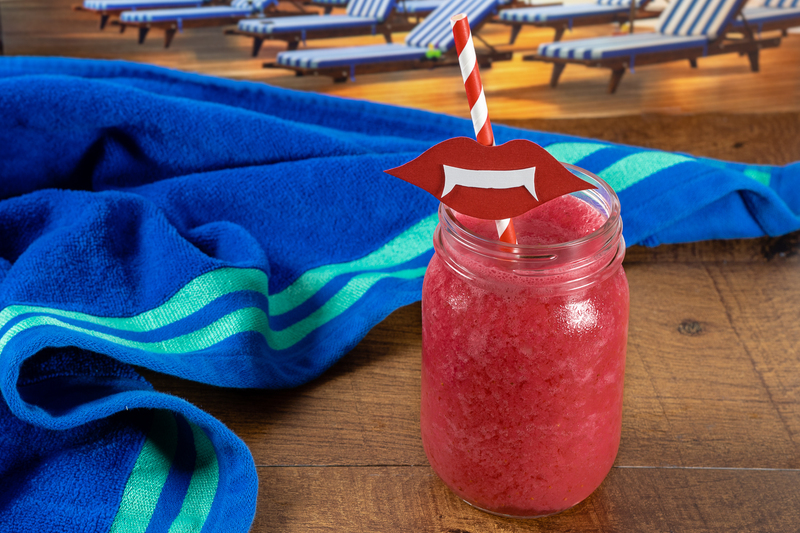 Afterall, who doesn’t love a tropical treat with an adorable straw? This smoothie is mostly made up of strawberries to give it its blood red color, but it has some other fun flavors as well. We hope you love Drac’s Spooky Smoothy! Be sure to pick up your copy of Hotel Transylvania, now available on Blu-ray/DVD and Digital HD! What other family friendly movies would you like to see us create Halloween recipes for? Let us know in the comments below or tag us on social media using the hashtag #GeekEats! October may not be traditional cruise season but Drac, Mavis, and crew are enjoying one in Hotel Transylvania 3! 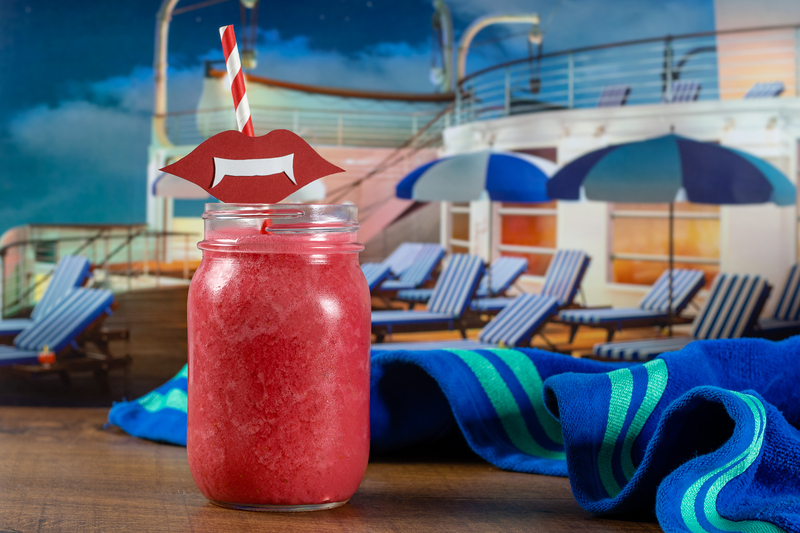 Live the cruise life at home with Drac's Spooky Smoothie! Add more water if it is too thick. Serve into 2 large glasses or 4 smaller ones. *This is a Paid Promotion for Sony Pictures’ Hotel Transylvania 3. All opinions are wholly our own. View our Disclosure Policy for more info.